When East Leake Amateur Players (ELAPS) were in need of a helping hand, the Nottinghamshire construction company; Robert Woodhead Ltd. came to the rescue with their craftsman’s skills. Robert Woodhead were finalising the extension works to East Leake Health Centre, when they spotted a cry for help from the team who were producing Sinbad the Sailor in a local newsletter. . After months of preparation, members of the cast and Director, Sonya Oates, came to the realisation that they would not be able to complete the construction of their complicated boat, without the help of professionals. The East Leake based drama group have been established for over 14 years. They organise, plan and perform two major productions per year. Sharon Torr and Annette McQuillan, the producers of Sinbad the Sailor were in the midst of preparing for the play, when they were glad of the offer of help from Robert Woodhead Ltd. The problematic prop in question, was the rowing boat, which would be used by Princess Pashmina and Pirate Paprika, to navigate from one side of the set to the other. 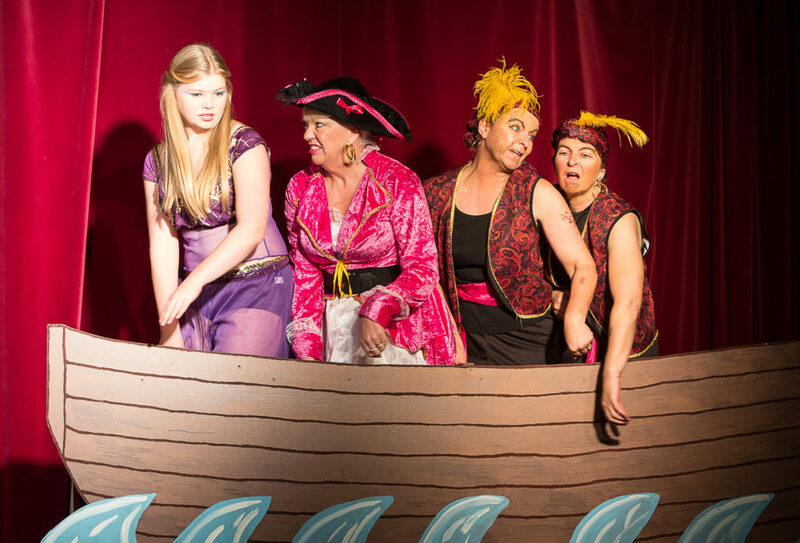 Terry ensured that the completed boat arrived in time for the dress rehearsals, resulting in the actors having plenty of time to practice with their newly built boat. Stephen Gribby, Repairs & Maintenance Director at Woodhead One commented, “We are proud of our talented staff and are delighted to have helped on a project that involved the community.” The opening night of the pantomime of Sinbad the Sailor, took place on the 4th December 2013, with all the tickets sold out. It is with a community spirit, that Woodhead One sought to help a local drama company. ELAPs too give back to the community with their wonderful performances, and by regularly loaning out their unique props to the community.